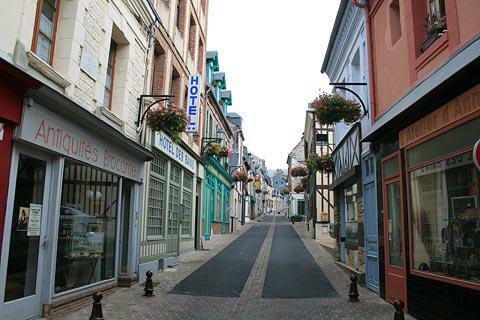 The quiet seaside town of Villerville is situated on the Normandy Riviera with the chic town of Deauville and the busy seaside town of Trouville to the west and the magnificent medieval port of Honfleur to the east. Villerville, along with its better known neighbours, developed as a resort in the late 19th century and has a selection of lovely villas from the ‘Belle Epoque’ but since then has been almost forgotten and the result is a much quieter seaside town than its neighbours. 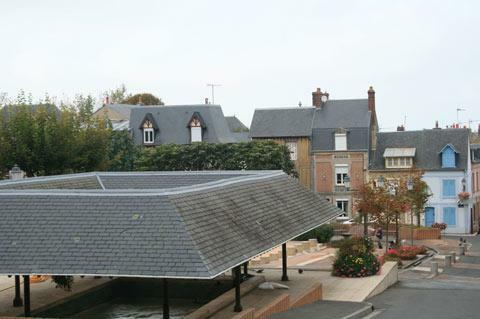 Because of its relative calm, its lack of commercial development and its proximity to the countryside, Villerville has had something of a resurgence of popularity in recent years - although it is still nowhere as visited (or as posh) as Deauville and Trouville, for example. 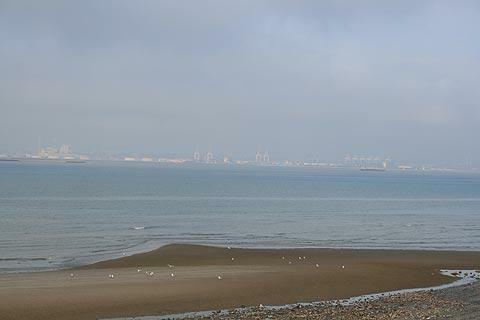 The main attraction in Villerville is the long beach, which is a mix of sand and pebbles: there is a small beach in the town centre and a much more extensive sandy beach running south-west towards Trouville. 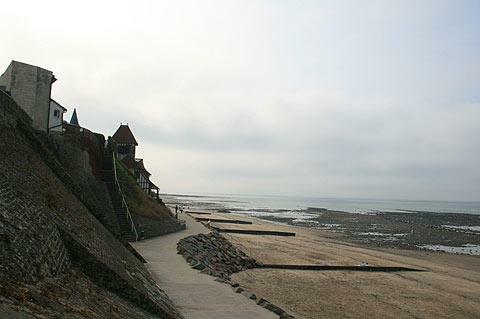 In the town, the beach can only be accessed at low tide. Across the sea from the beach the view is of the port of Le Havre rather than an endless expanse of blue ocean, which perhaps detracts slightly from the appeal. Behind the beach there is a long promenade, and also the natural area called Les Graves which is now a protected area of woodlands, play areas and footpaths that lead to the beach. Villerville itself has a small historic centre with narrow streets of attractive half-timbered houses, many of them now cafes and shops. The town also has a lavoir (communal washing area of days gone by) and a church with a stone roof - these stone roofed churches are very rare and this one has been roofed with great slabs of stone rather than the small stone ‘tiles’ you occasionally see on churches. Villerville is also now known in the area as a ‘village des livres’, (village of books) and its main street has many bookshops. One of the highlights of this region is the chance to walk in the open air, either along the coast looking at the cliffs or through the countryside, passed ancient manor houses. The tourist office can give you a very informative leaflet that suggests several walks around Villerville, from about two to ten kilometres long. 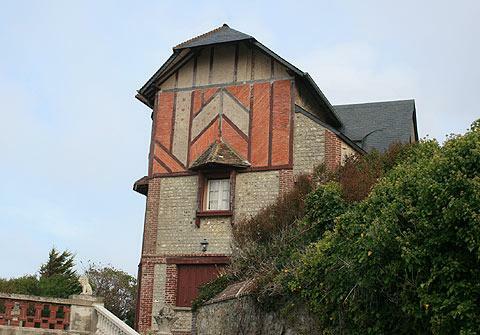 Most attractions here are based along the coast, with resorts such as Deauville and Trouville within easy reach and the lovely harbour resort of Honfleur just a few kilometres to the north-east of Villerville.